Day 1: Fresh off the plane…jetlagged after 14 hours from SFO, but raring to go! Day 1: Fresh off the plane…jetlagged after 14 hours from SFO, but raring to go! 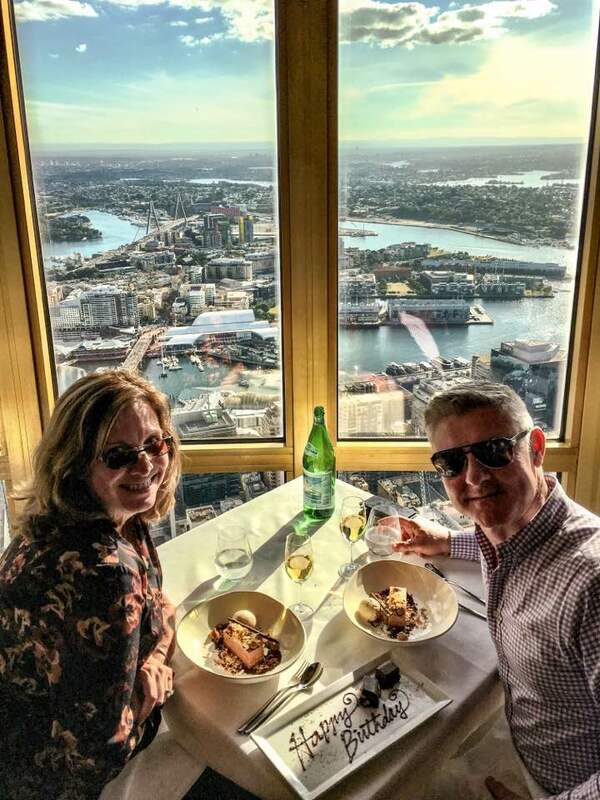 Early birthday celebration for my Aussie brother, Greg, at the top of the Sydney Tower, after lunching in the fabulous 360 on a 7-course Chef’s Degustation Menu with matching Wines. A meal I shall never forget. Marvelous! Glad to see you! Was there any kangaroo meat? cobalt please 🙂 Good to be seen! Charles Gaines Nope. But I did dine on Kangaroo in Tucson of all places. Nate Dwgs missed you too! BobbieZen one of my loved ladies on here… Seriously are you back on here again? Muahhh!! That’s so freaking awesome, I too shall do that someday. Barry Ellenburg I am so fortunate I was able to… And you definitely should make it a reality! I’m getting my business started I just haven’t made a post about it yet. Barry Ellenburg Looking forward to hearing more! krishnamurthi ramachandran Enjoy your visit!